Christian Haines, a sonic arts lecturer at the University of Adelaide, has once again taken part in the Adelaide Fringe Festival. Inspired by circus posters and photographs from the National Fairground Archive, Roll Up, Roll Up! honours the 125th anniversary of women’s suffrage in SA and celebrates the accomplishments of Adelaide born suffrage pioneer, Muriel Matters. We chatted to Christian Haines about his involvement in this project. Q: Tell us about the ‘Roll Up, Roll Up!’ light display and the soundtrack you have written to accompany this. 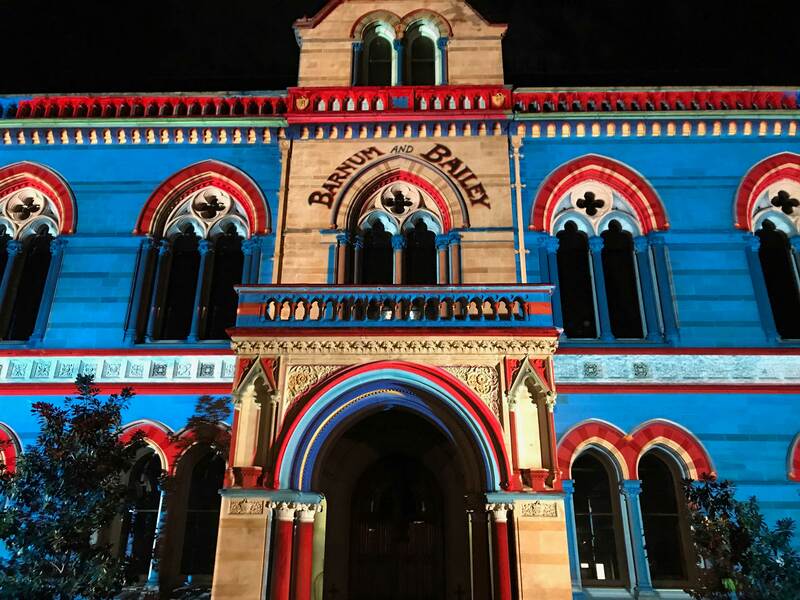 The company Electric Canvas created a high-powered animated light show on the Mitchell Building at the University of Adelaide. This is part of the Adelaide Fringe Festival 2018. The public are able to see the projection during the course of the festival after sundown. As part of this project we were asked to create some music and sound to accompany the work. As the light show is centred around circus theatrics and carnival shows at around the turn of the 20th century, the music embodies the sounds of that period. Q: What sort of process does it take to put together a soundtrack like that? 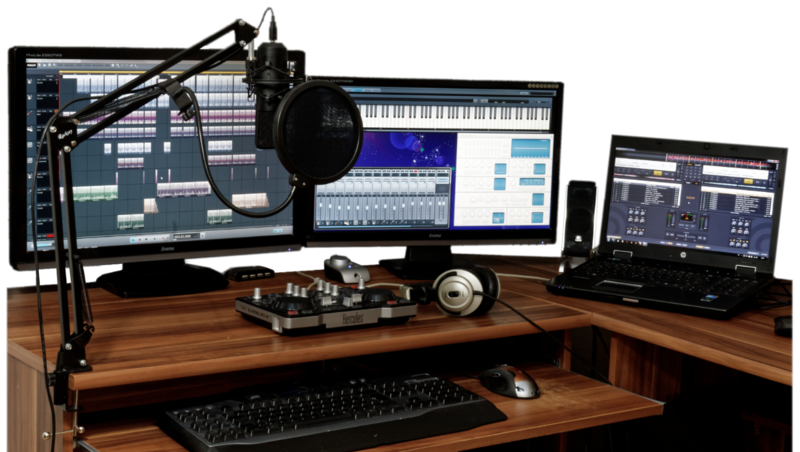 Do you need to see the visuals before you start composing the soundtrack? A key aspect is that the light is a playful presentation using the building as a canvas, so the sound likewise embodies these principles in a way both dramatically and subtly enhances the work. After seeing the visuals we got a sense of the ideas underpinning the work from the artists. We then researched the kind of music and sound audiences would expect to hear. Sounds and instruments include the Calliope (circus piano), whistles, brass instruments, drums, clown sounds and other folly. Further, given the projection is a bright and colourful interpretation of the period, the sounds too have been modified with additional effects and processes to change the harmonics, space and colour to make them complementary. Roll Up, Roll Up! is running as part of the Parade of Light in the 2018 Adelaide Fringe Festival from 16th February to 18th March and can be seen on the Mitchell Building at the University of Adelaide. Want to hear more from Christian Haines? Christian is part of the free Music Technology Foundations online course. This 6 week self-paced course will teach learners how to use creative technologies to make their own music and get a step closer to a career in music. 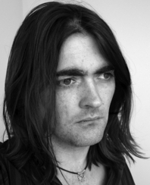 Christian Haines is a composer, improviser and practitioner working with sound and technology. His work examines the area of mobile sound and music, web technologies, probability, chaos and procedural generation through custom software applications and processes. Christian lectures in electronic music, sound design, sonic arts and music technology at the University of Adelaide, where he co-directs the Electronic Music Unit at the Elder Conservatorium of Music. He is also a PhD candidate at the University of Technology Sydney. His work has been played and presented at national and international events including ElectroFringe, Adelaide International Festival of Arts, Festival of Australian Music and the Adelaide Fringe. This entry was posted in AdelaideX, AdelaideX Events, Music Technology Foundations, Q&A and tagged Adelaide Fringe Festival, AdelaideX, edx, Massive open online courses, Music Technology Foundations, Parade of Light, University of Adelaide. Bookmark the permalink.